It was the year of long-form drama for me and Nicole. To watch a story unfold an hour at a time, night after night – such a bigger canvas than a feature film, and an after-work addiction. 1. 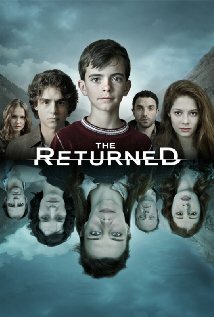 The Returned (series 1) – I have never seen anything like this French supernatural drama. To watch it is to be trapped inside a beautifully eerie dream, as the dead begin to return to a village. 2. True Detective (series 1) – An existential crime series about two detectives on the trail of a southern gothic murderer across decades. Really, the crimes are secondary – this is about the meaning of life, as Rusty philosophises to Marty and an unlikely friendship develops. 3. Parade’s End (mini-series) – A dense and super-intelligent adaptation of Ford Madox Ford’s novels, following a man of integrity through World War One, at war with a scheming wife and torn by his desire for a young suffragette. It is incredible. 4. House of Cards (series 1 and 2) – An excellent adaptation to the American context, with fascinating characters and enthralling political intrigue. I wrote about it here. 5. Fargo (series 1) – Fargo the TV series is better than the film. It is dark and funny and suspenseful, and Billy Bob Thornton’s character could be the most interesting killer I’ve seen on television. Honourable mentions – Rectify (series 1); The Fall (series 1); and Boardwalk Empire (series 1). We watched season 1 of House of Cards. I enjoyed it although it is a bit rugged in places. Haven’t seen that, but some say Parade’s End is like a more complex version of it. You and Mon might like it and True Detective best out of these.